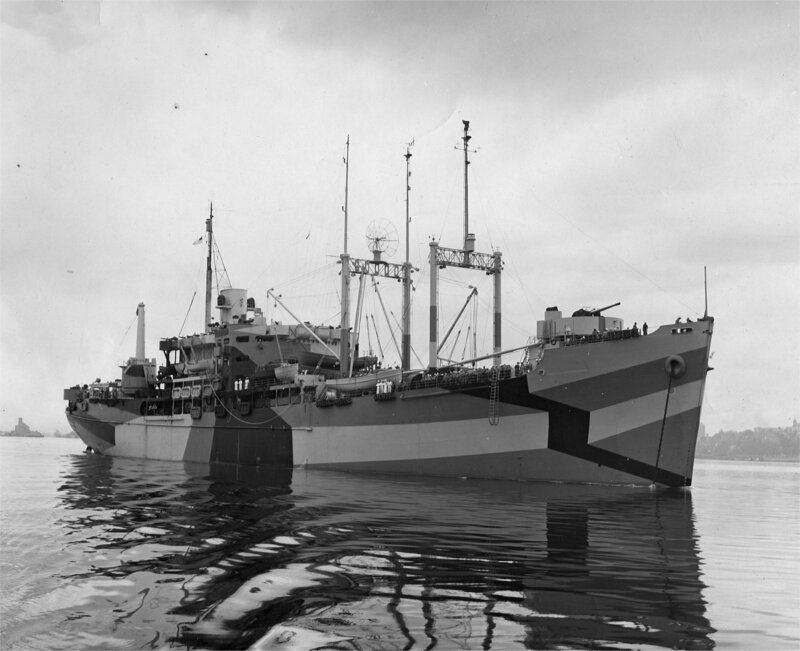 Laid down, date unknown, at Seattle-Tacoma Shipbuilding Corp. Inc., Tacoma, WA. 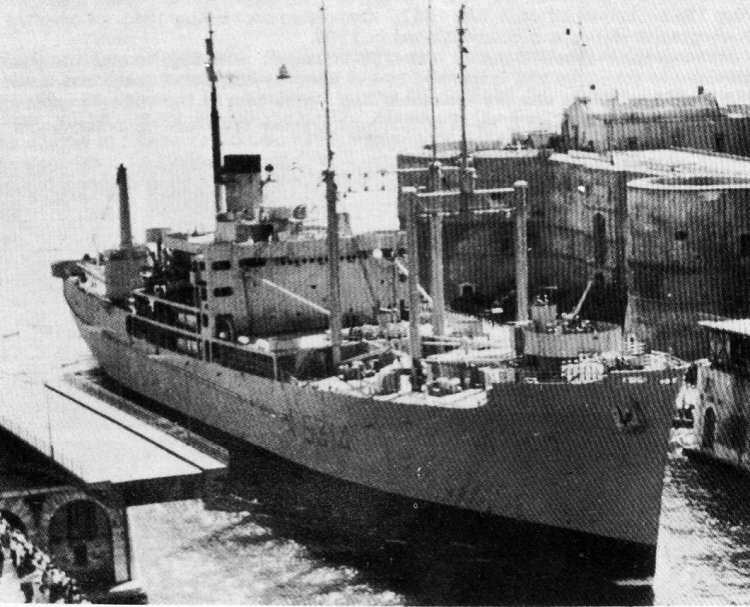 Decommissioned, 1 August 1946, at San Diego, CA. 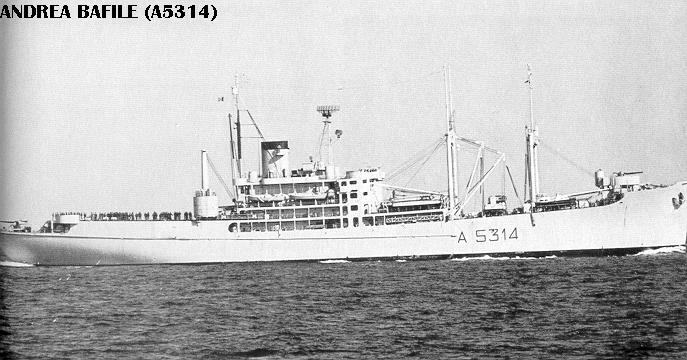 Struck from the Navy Register, 1 July 1963 and simultaneously transferred to the Maritime Administration's National Defense Reserve Fleet, Suisun Bay, Benecia, CA. 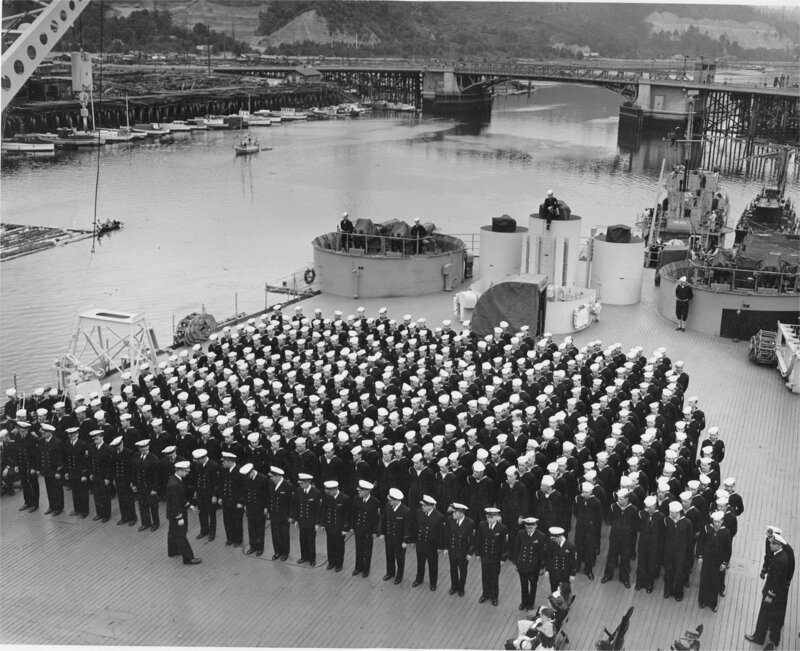 434k USS St. George (AV-16) commissioning ceremony, 24 July 1944, at Seattle-Tacoma Shipbuilding Corp. Inc., Tacoma, WA. 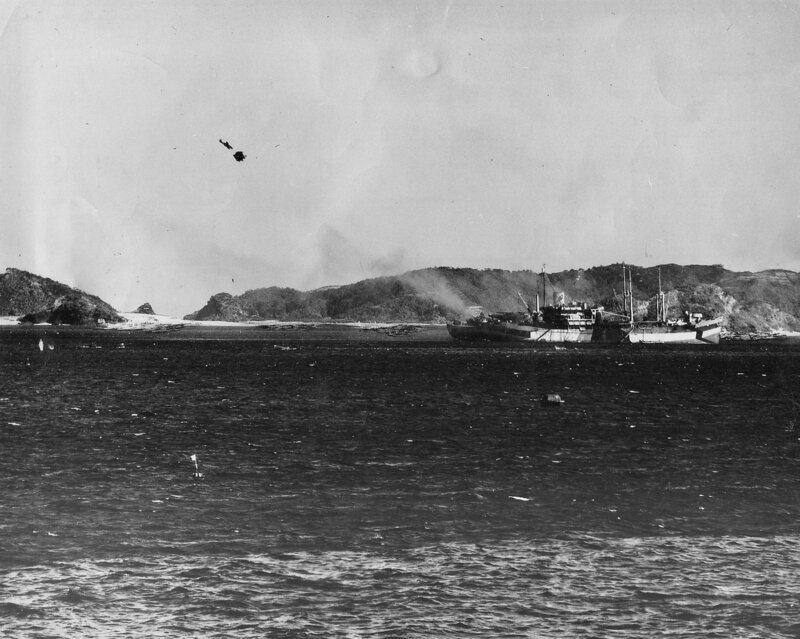 Note USS YMS-479 moored astern of St. George. 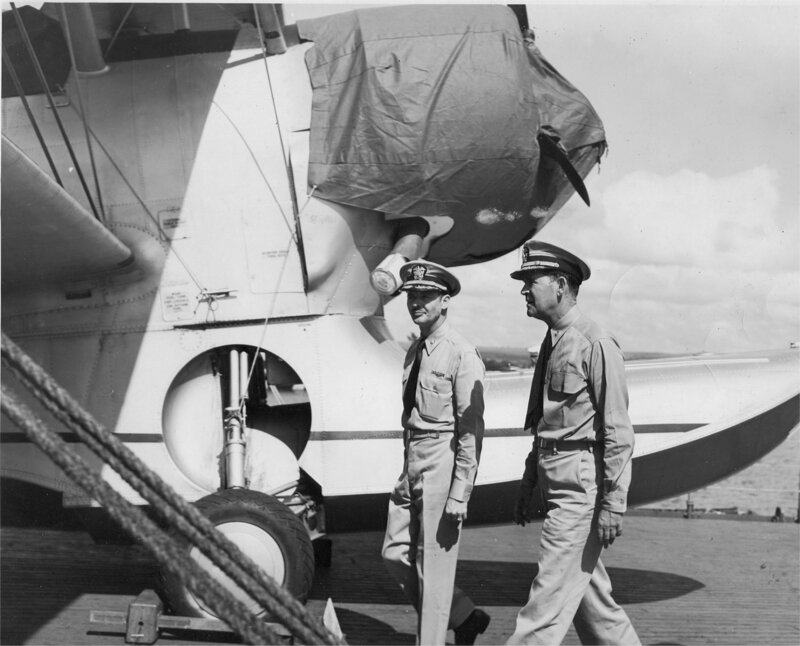 242k Aboard USS St. George (AV-16), probably CAPT. 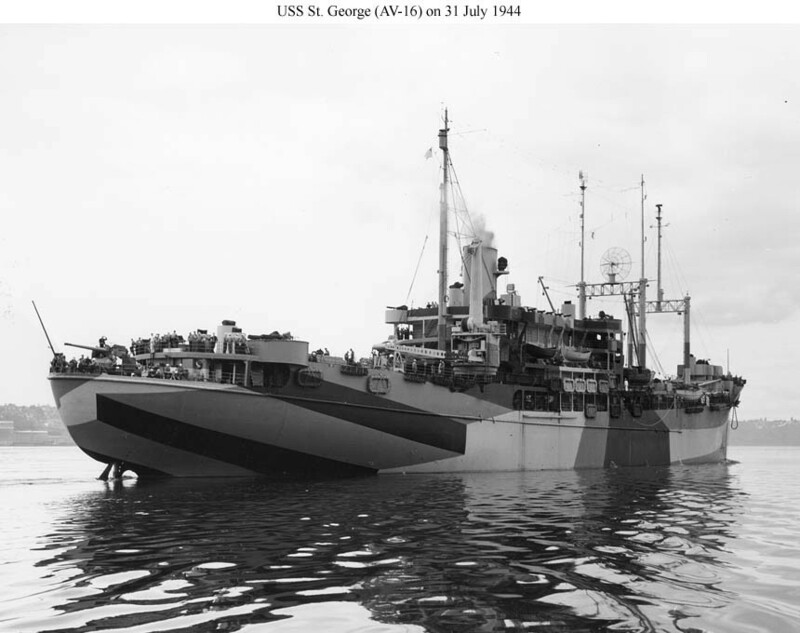 Robert G. Armstrong USN with an unidentified Rear Admiral, date and location unknown..
94k Stern view of USS St. George (AV-16) underway in Puget Sound, 31 July 1944, one week after commissioning. She is newly painted camouflage scheme Measure 32 Design 8x. 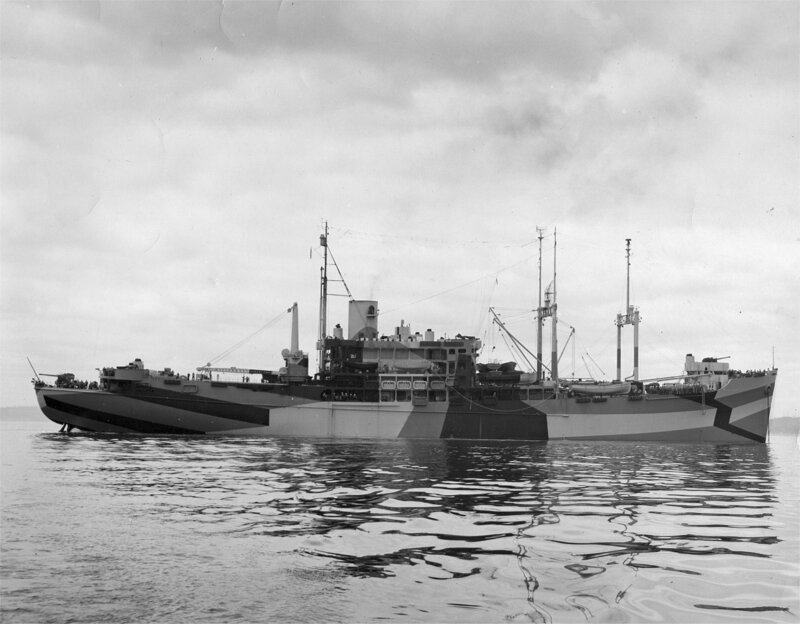 935k Broadside view of USS St. George (AV-16) at anchor, probably soon after commissioning. She is newly painted camouflage scheme Measure 32 Design 8x. 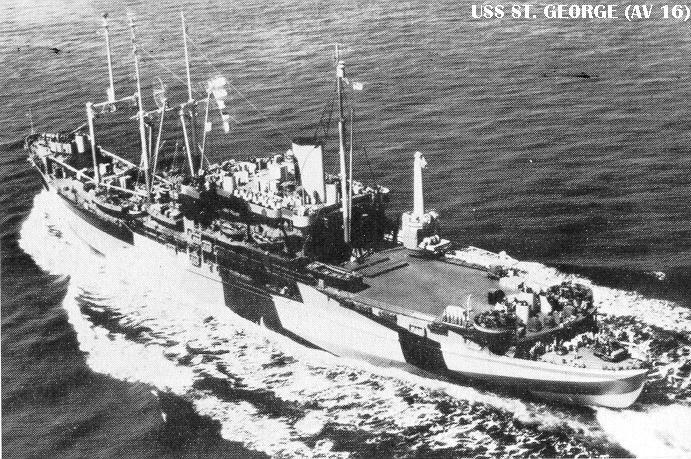 671k Starboard bow view of USS St. George (AV-16) at anchor, probably soon after commissioning. She is newly painted camouflage scheme Measure 32 Design 8x. 107k USS St. George (AV-16) underway, date and location unknown. Her camouflage scheme is 32/8x. 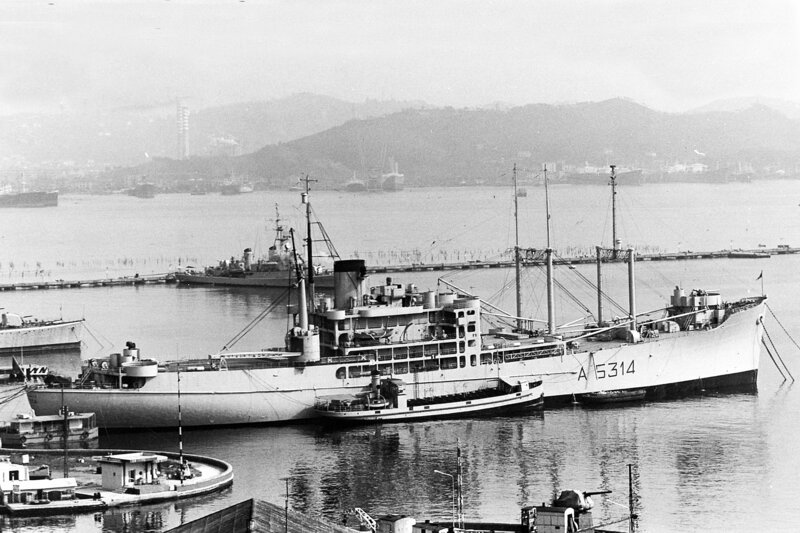 684k USS St. George (AV-16) at anchor at Kerama Retto, 29 April 1945. This remarkable photo of a Kamikaze diving on the USS St. George just as the proximity fuse of an anti-aircraft shell fired by the ship detonated. Note the smoke from the AA guns on the stern. An instant later the plane was blown to bits. Photo by Paul D. Guttman PH2/c. Robert Guttman for his father Paul D. Guttman PH2/c. 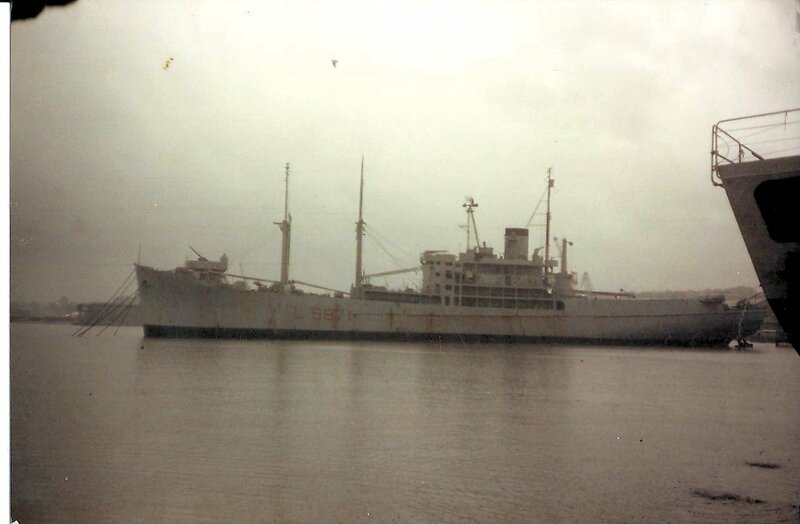 116k INS Andrea Bafile (A5314) entering port, circa 1970, location unknown.